This week was very inspiring for me when it comes to discovering new tastes and kitchens. On Wednesday one of my friends took me to the restaurant of famous Brazilian chef Tatiana Cardoso who is in charge of the place called Moinho de Pedra. I saw this beautiful woman sitting just next to me and I thought that her food should be great, and it was. I tried lasagna with eggplant and I still remember the taste, smell and consistence of it!!! On Thursday some Lovely Ladies took me to a South Korean restaurant with the name Kaya. Again I was speechless when I tried this very exotic food. What a culinary experience!!! I am so glad being surrounded by such a great friends who share the same passion for excellent food. Today I cooked "Lasanha de berinjela, manjericao, mozarela e molho de tomate" from the book of Tatiana Cardoso with the name "Naturalissima". I suggest that you prepare the tomato sauce one day before and then next day you can focus on lasagne. 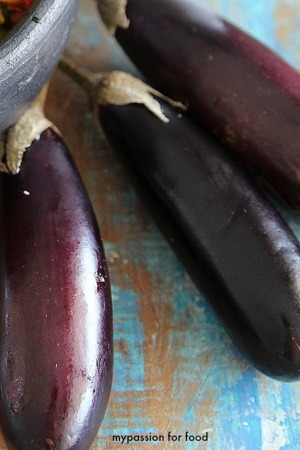 Arrange the slices of eggplant and greased them with olive of oil and bake for 20 minutes in a baking dish. Turn the slices and put the pan in the oven for another 20 minutes. You can also choose to fry them. I did both variants and I like better to fry them (of course it takes more time but it is worth). In a bowl, mix the roasted or fried eggplants with chopped basil, oregano and olive oil. (30cm x 20 cm), put 4 lasagna sheets on the bottom, lining it evenly. Arrange slices of egglplant on top and sprinkle with half of the mozzarella cheese and some sauce. Cover again with 4 sheets of lasagna and repeat the whole procedure, ending with a layer of lasagna sheets. 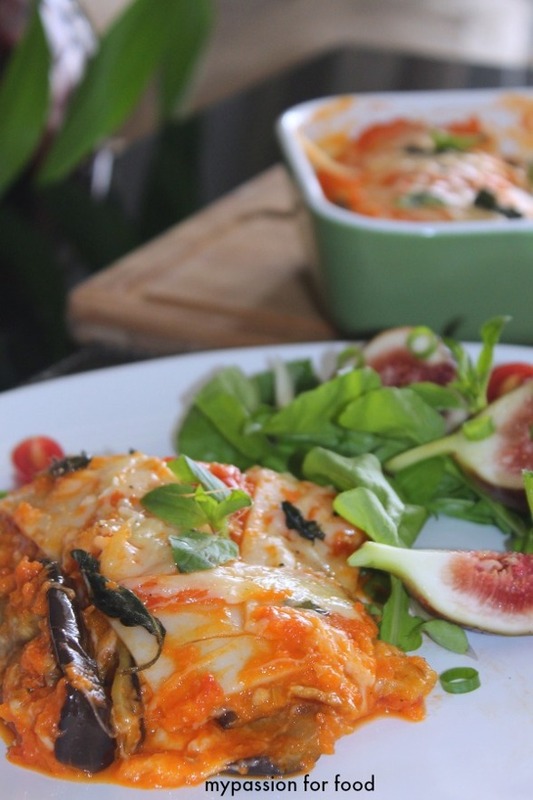 Cover with remaining sauce, sprinkle with parmesan and basil leaves and bake for 15 minutes. Serve with salad and a good bottle of redwine.